As I mentioned on Friday, my first Greeting Farm stamps arrived. 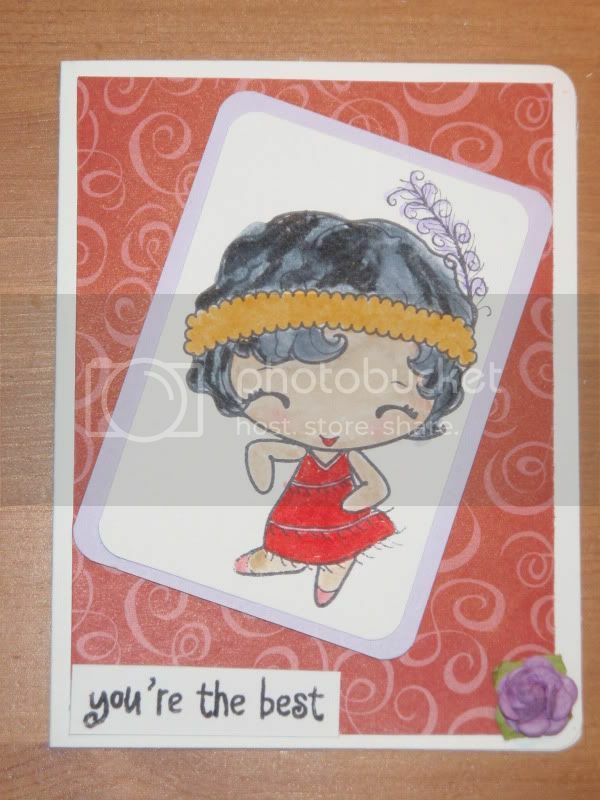 Here's my first and extremely simple card using the limited edition stamp called Flapper Anya. 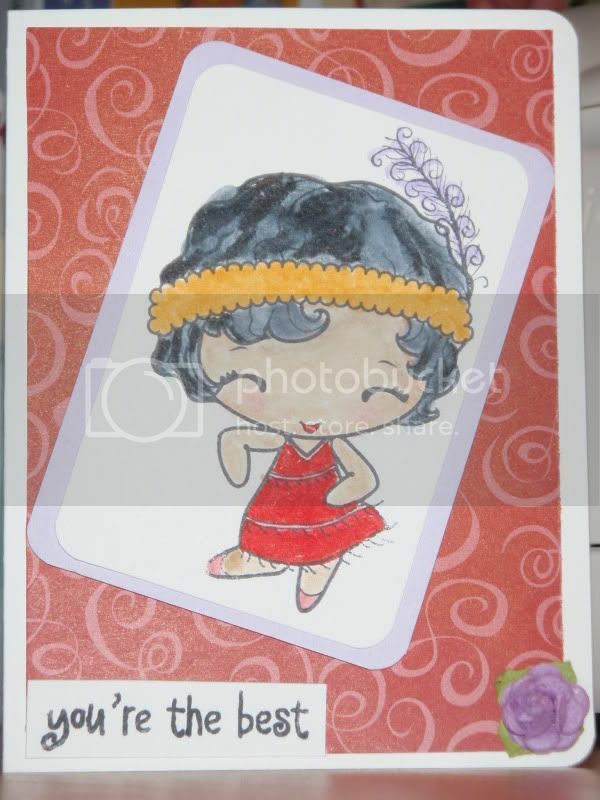 - Making Memories pattern paper from the Heritage Collection called "Scroll Dark - Deep Red"
- Greeting Farm "Flapper Anya" stamp colored with Tombow dual brush markers. - Colorbox Chalk ink, Stampendous stamp from "Notes for a Friend."